BDPA New Jersey Chapter is a 501c3 non-profit organization established in 1981, originally known as the Northern New Jersey Chapter. The chapter’s membership rose to 125 members. The chapter saw a revitalization in 2000 and has been increasing in its presence as a vital organization for Northern and Central New Jersey ever since. 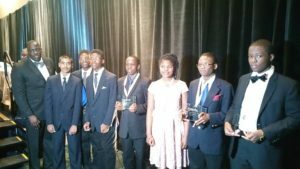 Who is BDPA New Jersey Chapter? BDPA New Jersey Chapter successfully launched its High School Computer Camp (HSCC) in 2001 and through the assistance of corporate sponsors and contributing members, has been able to send students to annual National BDPA Conferences to compete in the National High School Computer Competition since then. Students that complete the program are awarded college scholarships and are supported by the chapter in their efforts to gain grants and additional scholarships.